With National Wildlife Day on 4 September, those wishing to celebrate have a wealth of opportunity in Queensland, Australia which is home to thousands of fascinating species from clown fish to crocodiles, and koalas to camels. Here’s our round-up to some of the best wildlife experiences in Queensland and the best places to spot some of Australia’s most iconic creatures. Hervey Bay is one of the world’s best whale watching spots. From flip slaps and blowhole spurts to full out of the water aerial displays, Hervey Bay is the ultimate place to come if you’re searching for the Cirque du Soleil of whale behaviour. Found an easy 3.5 hours’ drive north of Brisbane, Hervey Bay can easily be combined with a city break. The best time to see these magnificant creatures is during the Aussie winter months of July – November. The best way to see the whales is to board one of the many whale watching tours including The Spirit of Hervey Bay and Blue Dolphin. There’s also a chance to swim with whales with operators such as Quick Cat II, Whalesong and Hervey Bay Dive Centre, which also teaches participants about whales and the importance of conservation. Synonomous with Australia, koalas are one of the country’s most iconic animals. Some of the best places to spot wild koalas include in Noosa National Park on the Sunshine Coast; Daisy Hill Koala Park in Brisbane, which is a dedicated conservation area for koalas; and Magnetic Island near Townsville, which is home to the largest wild colony of koalas in all of Queensland. 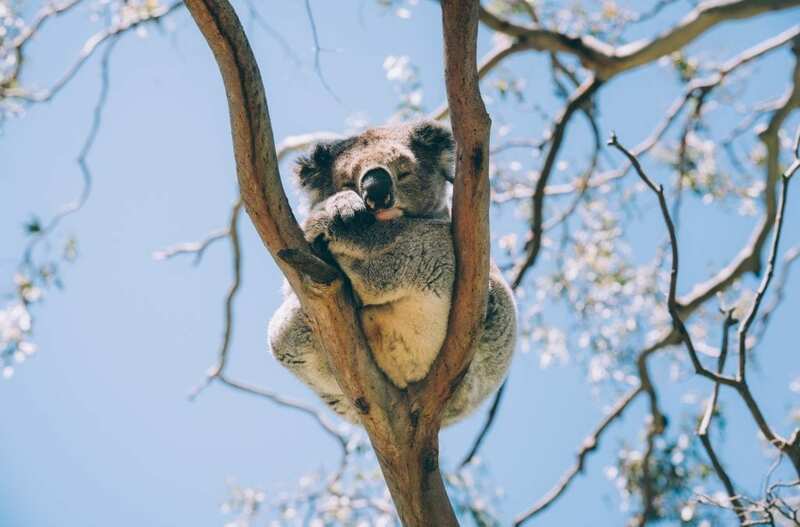 The Forts Walk on the island is the best spot to see one of these furry creatures hanging out amongst the eucalyptus as well as beautiful views of the Coral Sea. Magnetic Island, and specifically, Geoffrey Bay, is also a great place to see wallabies and tick another of Australia’s iconic wildlife off your list. Famous for its mighty saltwater crocodiles and cassowary’s, Queensland’s Tropical North is home to the Daintree Rainforest – the oldest living rainforest in the world. One of the best places to spot crocodiles is by taking a leisurely cruise down the Daintree River where visitors will often see the creatures sunbathing on the golden sandbanks or floating past the boats disguised as logs. 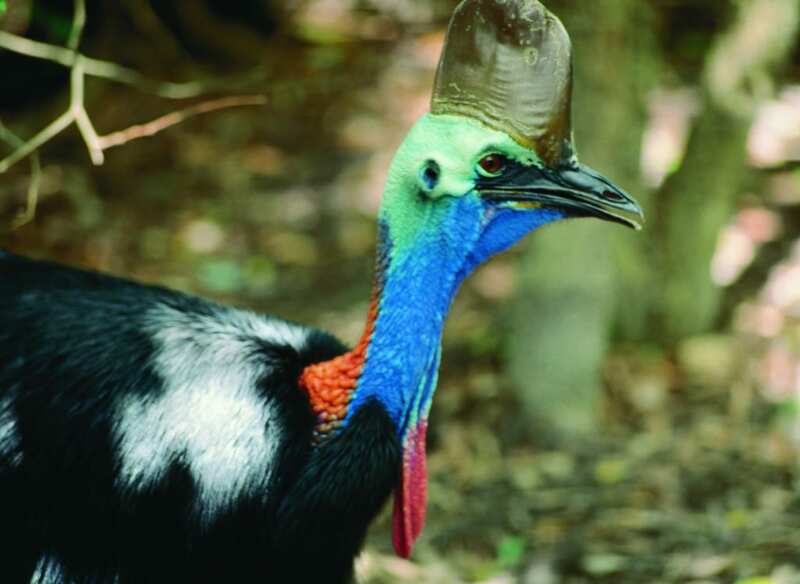 Another famous Queensland icon is the Cassowary bird. Growing up to 1.9m tall and flightless, visitors need to keep their eyes peeled throughout the Daintree as these birds are very shy and tend to hide from humans. These unique birds are considered to be the guardians of the rainforest, dispersing seeds throughout the forest, keeping over 150 types of plants and trees alive. For a turtle-ly awesome adventure, Lady Elliot Island on the Southern Great Barrier Reef is a turtle paradise with Green, Hawksbill and Loggerhead turtles all calling the waters around the coral cay home. During the months of November and March the turtles come ashore to lay their eggs and shortly after nesting season ends, thousands of baby turtles push through their sand nest on their way to the sea. 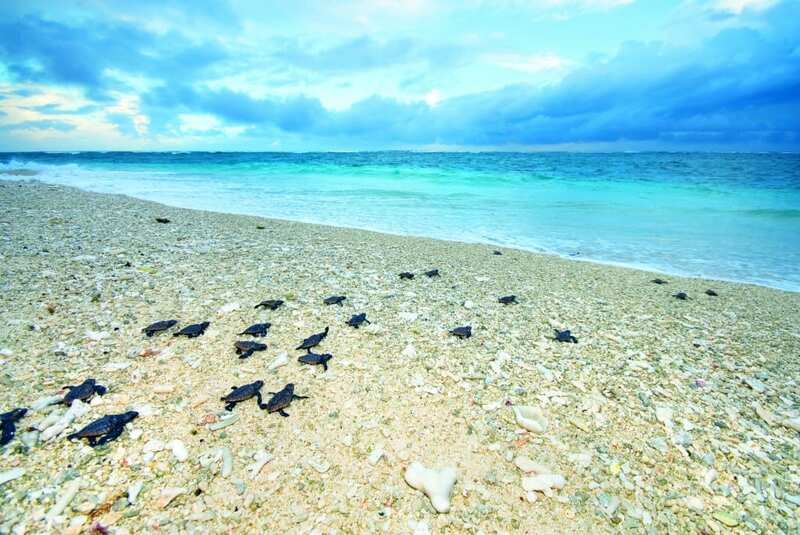 Turtle hatching season normally runs from February through to April and guests staying on the island can watch this breathtaking spectable right from the comfort of their accommodation. Stretching for more than 2,300km and taking in almost 350,000 km2 of pristine marine environment, the Great Barrier Reef is home to thousands of different species including Queensland’s famous Great Eight – clownfish, whales, sharks, giant clams, manta rays, maori wrasse, potato cod and turtles. Thanks to Disney’s hugely popular film Finding Nemo, many visitors to the Great Barrier Reef hope to spot a clownfish. The small, organge and white fish have a symbiotic relationship with sea anemones, which are widespread along the entirety of the reef so the mission to see one is fairly easy. 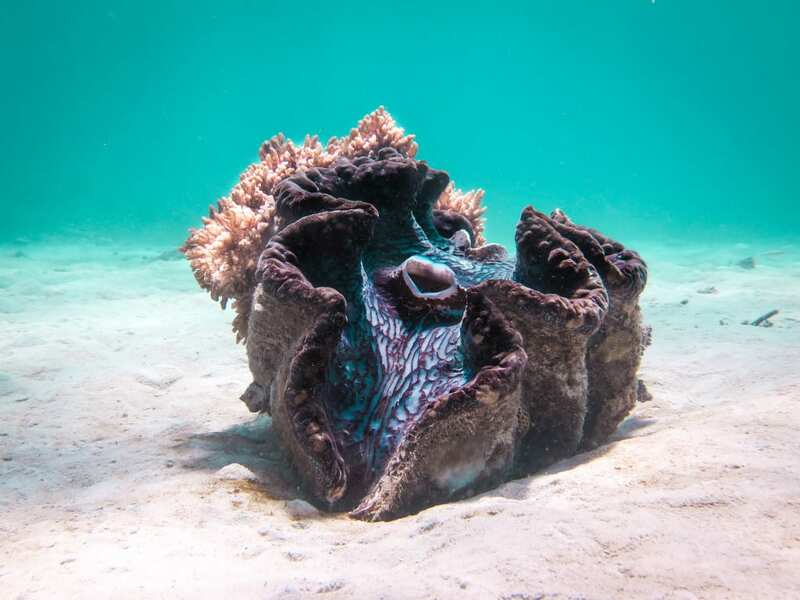 Giant clams, which can grow 1.5 metres in length and weigh a whopping 200kg, have a stunning mantle with no two clams having the same pattern or colours. They can be found along the length of the reef but a couple of hotspots include the Clam Gardens off the coast of Lizard Island and at Flynn Reef off the coast of Cairns. Another one of the Great Eight to tick off is the manta ray. These graceful creates have wings spanning up to seven metres and can be found in abudance at Lady Elliot Island on the Southern Great Barrier Reef as well as near Lady Musgrave Island. One of the most distinctive fish found in Queensland waters is the maori wrasse with its thick fleshy lips and a prominent bump on its forehead. These inquisitive fish can often be found swimming alongside divers and snorkellers and are very friendly. Some of the best spots to see maori wrasse include Hardy Reef, Bait Reef and Blue Pearl Bay. Moving on to potato cod, The Ribbon Reefs off the coast of Lizard Island, including Cod Hole, is one of the most famous dive spots to see these fish. The species can grow to two metres in length and weigh in at 100kg. For those hoping to spot sharks on their Queensland adventure, there are more than 50 species found off the coast with reef sharks found the length of the Great Barrier Reef and grey nurse sharks are often spotted at Wolf Rock dive site near Rainbow Beach north of Brisbane. Six of the world’s seven marine turtle species can be found in the State with Green, Hawksbill and Loggerhead sea turtles the most commonly sighted species. Some of the hostpots to see these cute creatures include Lady Elliot Island and Mon Repos, near Bundaberg – home to the largest Loggerhead turtle rookery in the Southern Hemisphere. Finally, whales are another creature that visitors are keen to spot. Hervey Bay and the Gold Coast have multiple tour operators offering whale-watching cruises and in Tropical North Queensland it is possible to swim alongside dwarf minke whales as well as humpback whales on the Sunshine Coast. 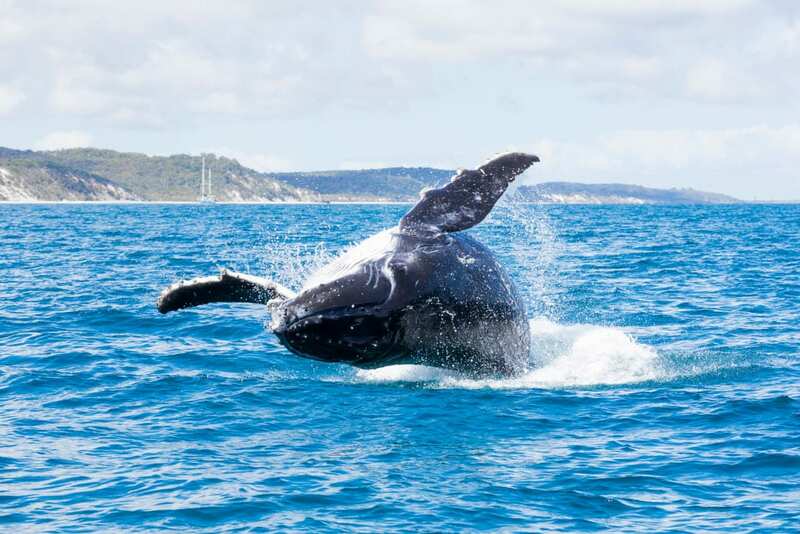 For those who prefer to have their feet on dry land, North Stradbroke Island and the headlands at Point Arkwright near Coolum on the Sunshine Coast are great spots for land-based whale watching. With a penchant for a dry climate and hot weather, Outback Queensland is camel country, even more so the closer you get to the famous Simpson desert. Able to grow to a whopping 600-1,000kg, these creatures spend their days wandering around the outback, covering up to 70kms per day. One of the more unusual ways to be sure to spot one is by heading to the annual Boulia Camel Races every July. 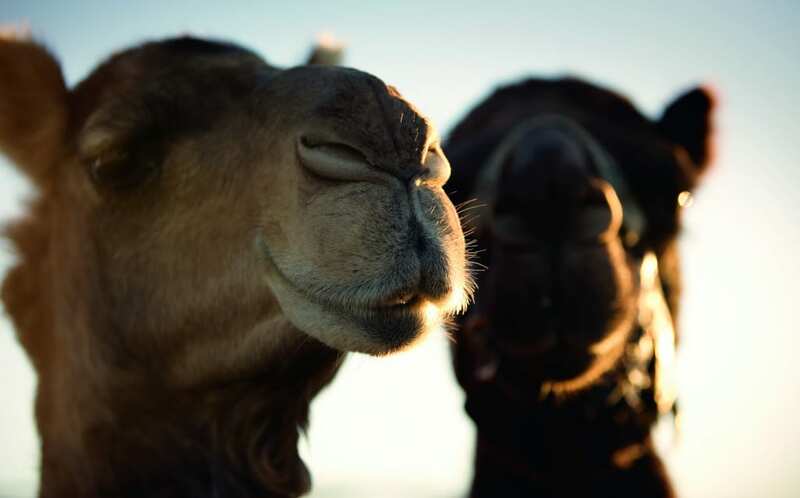 This 3-day event provides exhilarating entertainment including of course the famous camel races. Throughout the day there’s entertainment and family fun including foot races and other comic events. One of the other major spectacles of the weekend is the Camel Tagging event, which is known world-wide. The festival culminates with a firework display and concert.